http://www.clicheoftheweek.ca to this site each week. Roman Catholic Lectionary Readings from the New American Bible (NCCB/USCC). Preaching Helps and Worship Resources, Rev. Dawn Chesser, Taylor Burton-Edwards, Dean McIntyre, Prayers, Lectionary Hymns, United Methodist Church General Board of Discipleship, 2018. Starters for Sunday, 2018. Thoughts on Readings, Prayers & Hymn Suggestions. Office for Worship, Doctrine and Artistic Matters, Church of Scotland. The Adventurous Lectionary, Pentecost 19, Bruce Epperly, Living a Holy Adventure, 2015. The Center for Excellence in Preaching, resources from Calvin Theological Seminary: Comments & Observations, Textual Points, illustration ideas, 2018. "Legal, Intended and Permitted,'" D Mark Davis, raw translation and exegesis/questions, Left Behind and Loving It, 2012. Points for Teaching and Preaching, 2015, The Lectionary Lab, Proper 22B, the Rev'ds Dr. John Fairless and Delmer Chilton (aka "Two Bubbas and a Bible"), 2012. Girardian Reflections on the Lectionary, Proper 22, by Paul Nuechterlein & Friends. Jesus Now, Proper 22B. Lectionary, study and worship resources from Faith Futures Jesus Then & Now. Rumors, for October 4, 2009, Ralph Milton, "Sermon helps for preachers with a sense of humor." Church Health Daily Devotions, Butch Odom, 2018. Dependence Needs, Karoline Lewis, Working Preacher, 2015. "Communities of the Broken and the Blessed," David Lose, ...in the Meantime, 2015. "The Story of Job: Certainty, but no Security," Dan Clendenin, Journey with Jesus, 2015 . "Jesus on divorce: Law or Grace?" Law and Gospel Everywhere Glenn Monson, 2015. "Hard Hearts, Little Children, and the Reign of God," Sharron R. Blezard, Stewardship of Life, 2015. "What Marriage Is Supposed to Be," Steve Godfrey, Church in the World, 2015. "Against Hardness of Heart," Suzanne Guthrie, At the Edge of the Enclosure, 2015. Husbands, Wives, Children, Lynn Miller, Art & Faith Matters, celebrating our creative and living God by generating art and architecture resources for congregations and individuals. Art and Faith Matters facebook page contains additional resources. "The Politics of Grace," Amy Allen, Political Theology, 2015. Where Mercy and Justice Meet, Brian Volck, Ekklesia Project, 2015. World Communion Sunday: 19 Pentecost, Eric Smith, LECTIO, 2015. "Just Who Is God, Anyway?" John Holbert, Patheos, 2015. "On Divorce and All of Us Little Children," Janet H. Hunt, Dancing with the Word, 2015. "Family Values," Bob Cornwall, Ponderings on a Faith Journey, 2015. "And the Table Will Be Wide," Jan Richardson, The Painted Prayerbook, 2012. Use of images. "Ecumenical Generosity for World Communion Sunday," Dan Clendenin, The Journey with Jesus, 2012. 2009. 2006 reflection. World Communion Sunday 2006. "Love and Marriage," David Lose, Working Preacher, 2012. "Hand-crafted World," Katie Munnik, Presbetyerian Record, 2012. "Trusting God on the Trip," Alyce McKenzie, Edgy Exegesis, 2012. "The Impatience of Job," John Holbert, Opening the Old Testament, 2012. "Why World Communion Sunday Is a Bad Idea," Debra Dean Murphy, Ekklesia Project, 2012. "Just Marriage: Jesus, Divorce and the Vulnerable," David R. Henson, Patheos, 2012. "Divorce Court," Janet Hunt, Dancing with the Word, 2012. 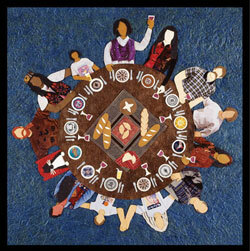 "What God Puts Together - Don't Divide Up," Bob Cornwall, Ponderings on a Faith Journey, 2012. "Divorce? Adultery? Really?" by Jim Somerville. A Sermon for Every Sunday. Video sermons from America’s best preachers for every Sunday of the Liturgical Year. "Book of Job, Part 1," by Amy Butler. A Sermon for Every Sunday. Video sermons from America’s best preachers for every Sunday of the Liturgical Year. "A Call to a Higher Standard," the Rev. Dr. Wiley Stephens, Day 1, 2012. Göttinger Predigten im Internet: Every Sunday Sermons based on the RCL by a team of Lutheran theologians/ pastors. "Let The Little Ones Come Unto Me," Bishop William H. Willimon, Day 1, 2009. "Raising the Bar," Faith Elements Discipleship System, 2015. "Domestic Violence: Are the Children Safe?" Luke Powery, ON Scripture, Odyssey Networks, 2015. Study questions and video: Faith Response to Domestic Violence. "Raising the Bar," Faith Element Discipleship System, "Setting the Bible Free," 2015. 2012. Ministry Matters, October 4, 2015. Taking Worship Home, Breen Sipes, Tri-Saints Lutheran Parish, 2015. Lectionary Liturgies, 2015, Thom M. Shuman, Presbyterian Church (U.S.A.). Worship Resources, Rev. Mindi, Rev-o-lution, 2015. Mustard Seeds, "Sticking Up For Others," Proper 22, 2012. A lectionary-based ideas resource for leaders of contemporary worship, Ann Scull, Gippsland, Australia. Weekly Evangelectionary, Bruce Laverman, Evangelism Connections, 2012. Weekly Worship Piece: World Communion, Spacious Faith, 2012. LCA Worship Planning Page, Pentecost 19, 2012, "Everything lay-readers need to prepare worship." Liturgy for the Celebration of Life, Pentecost 19B, 2012. Liturgies from a Progressive/Post-Liberal Theology, Revd Rex A.E. Hunt, Uniting Church in Australia. Worship and Liturgy Resources, Ordinary 27, by Rev David Beswick, Uniting Church in Australia. Lector's Notes, Ordinary 27, Gregory Warnusz, Saint Jerome Parish, Bellefontaine Neighbors, MO. Notes and commentary for those reading this week's lectionary texts to the congregation. "Liturgy: prayers reflection," reflections on the collect at the Eucharist, NZPB, Rev. Bosco Peters, New Zealand. Sunday Prayer, MomPriest, RevGalBlogPals, 2009. The Timeless Psalms: Psalm 26, Joan Stott, prayers and meditations based on lectionary Psalms, 2012. The Timeless Psalms: Psalm 26, Joan Stott, prayers and meditations based on lectionary Psalms, 2015. Forgiving and giving, history and commentary on collect, Bosco Peters, Liturgy, 2015. Prayers of the People, Blessing/Benediction, Lowell Grisham, St. Paul's Episcopal Church, Fayetteville, Arkansas, 2015. HermanoLeón Clipart, Ordinary 27B. Free clipart, backgrounds, slides, etc. Clip Art Images: Mark 9:38-48, Misioneros Del Sagrado Corazón en el Perú. Ordinary 27 at Cerezo Barredo's weekly gospel illustration. Follows Latin American Roman Catholic gospel reading, though most gospels texts/themes are found in the index. Liberation emphasis. "Why Serve God?" Faith Element Discipleship System, "Setting the Bible Free," 2012. "Majestic," Brenton Prigge, SM, New Hymn, 2006. Hymns of the Spirit Three, Proper 22B, Richard E. Hurst, Universalist National Memorial Church. Psalm Settings by Dale A. Schoening, Metrical Psalms: Psalm 26 set to Old 100th (LM 88 88), Psalm 8 set to Ar Hyd Y Nos (84 84 88 84). Hymn and Song Suggestions, Proper 22B, 2015, annotated suggestions from Natalie Sims, Singing from the Lectionary. Shepherd Sounds, Pentecost 19. Background information for hymns and choral music following the lectionary from the Episcopal Church of the Good Shepherd, Austin, Texas, by Eric Mellenbruch and David Zersen. Lectionary Hymns, Ordinary 27B, National Association of Pastoral Musicians. Choral Anthem Project, Ordinary 27B, National Association of Pastoral Musicians. Sing for Joy, Lectionary 27, 2009. Choral reflections on this week's lectionary readings, St. Olaf College. 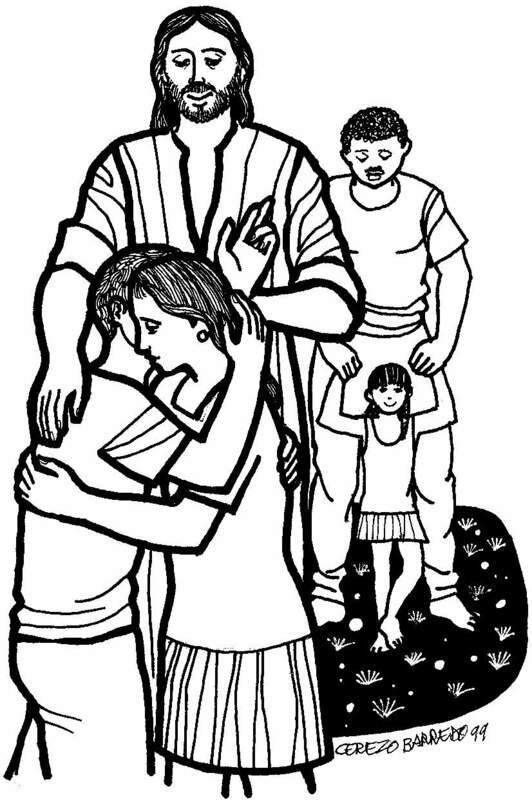 Worshiping with Children, Proper 22B, Including children in the congregation's worship, using the Revised Common Lectionary, Carolyn C. Brown, 2012. Dollar Store Children's Sermon, John Stevens, 2018. Children's Sermon,Faith Formation Journeys, 2015. "World Communion Sunday," Dianne Deming, Childrens Sermons Today, 2012. "Generous with God's Love," Frances Woodruff, On the Chancel Steps, 2012. Mustard Seeds, "Sticking Up For Others," Proper 22, 2009. A lectionary-based ideas resource for leaders of contemporary worship, Ann Scull, Gippsland, Australia. Story for Children's Worship and Family Activity, Ordinary 27, at word-sunday.com: A Catholic Resource for the Lectionary by Larry Broding. Weekly Devotions, Faith Formation Journeys, 2015.